The South East of Cornwall is yours to discover when you stay at Tencreek Holiday Park, from golden sands and country pubs to Cornish traditions and local festivals. The site's location is unbeatable for finding beautiful views and great things to do, combining the best of Cornwall's wild countryside with coastal footpaths and sandy shores. 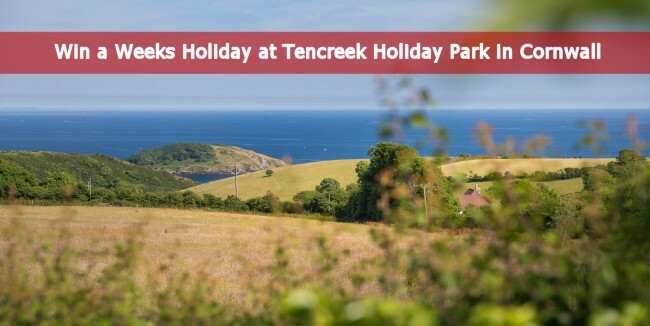 Both Looe and Polperro are just a short distance away and Tencreek Holiday Park is the closest camping and caravan park to Looe, so shops, pubs, beaches and attractions for all the family are never far away on Looe holidays at Tencreek. Best of all, Tencreek Holiday Park is open all year round so that everyone can enjoy Looe holidays whenever they want to! With caravans able to sleep up to 8 people and plenty of room for motor homes, tourers and tents too, everyone is welcome at Tencreek Holiday Park. Holidays in Looe are made all the better at Tencreek Holiday Park by their fantastic facilities. Fancy a dip? We have an indoor heated swimming pool and toddler pool. Need somewhere to walk your dog? We welcome families with dogs and have a small exercise area onsite, as well as great access to local footpaths. Looking for comfortable camping? Tencreek Holiday Park has modern underfloor-heated toilet and shower facilities, various water and rubbish points and plenty of undercover dishwashing areas. As well as all these great facilities, they provide entertainment for all ages, a shop, a bar and more at Tencreek Holiday Park; they've got all bases covered for stress-free family holidays in Looe, Cornwall. To make a booking or for more information on Park facilities and special offers visit their website! Win a Weeks Holiday at Tencreek Holiday Park for 4 people worth over £300! We have teamed up with Tencreek Holiday Park and are giving you the chance to win a 1 week stay on a camping or touring pitch, to be used anytime during 2018, worth up to £301. 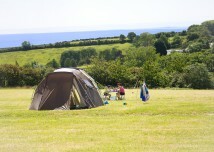 The prize is for up to 4 people on a touring / tent pitch, including awning, pets, electric and water hook up. All club passes included, allowing full use of all facilities, indoor pool, clubhouse with entertainment and multi sports pitchrestrictions apply. NB: review numbers correct at time of publication and subject to change.